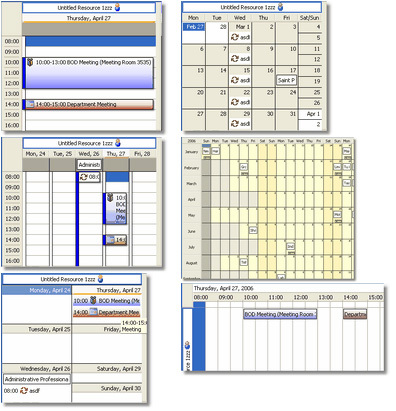 MultiCalendar Schedule Software - Powerful Scheduler for Appointments, Tasks, Resources and more. You can group all resources' calendar into one calendar, or group each resource's calendar by date, or by resource to get the calendar you want. Considering you have three resources, if you group all resources' calendar into one, you will have all schedules/events for all resources on one calendar. When the grouping option is set to "group by date", each calendar will be organized by date then by resource. When the grouping option is set to "group by resource", each calendar will be organized by resource first then by date. To change/set the group option, please go to Resource->Resource Option->Group in MultiCalendar. All categories can be customized by your own. You can add/edit/delete any event category according to your own business. You can specify a color for any category. 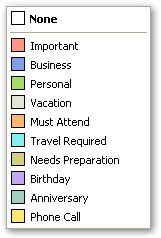 After that, all appointments/events of this category will be created with the category's default color. All types can be customized by your own. You can add/edit/delete any event category according to your own business. You can specify an icon for any type. After that, all appointments/events of this type will be displayed with the icon you specified for this type. Icon can be selected from the built-in icon library (96 icons included), and you can also add your own icon in the icon library. To manage event categories, go to File-> Customize -> Types. 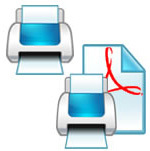 Print calendar reports or export them to PDF document. Now you can publish your calendar in pdf format on the Internet or your Intranet. Events can be imported/exported from or to Outlook. 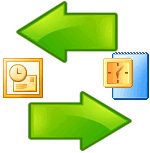 An outlook synchronization feature is also available. And you can synchronize MultiCalendar and your Palm or Pocket PC via Outlook! All data files can be backup-ed to a single file and you can backup/restore your data files when MultiCalendar is running. To backup/restore, please go to File->Backup Database or File->Restore Database. Copyright © 2000-2016 MultiCalendar Technology Limited. All rights reserved.